Glont, Arsenescu & Associates is a Romanian law firm that covers a broad range of business and legal practices, such as commercial contracts and litigations, companies� set-up, mergers acquisitions and liquidations, tax law, intellectual property and real estate. Our firm was founded in 2000 in Bucharest, Romania and in 2003 became a full-service, multinational law firm, with direct New York law firm partnership. Glont, Arsenescu & Associates has an experienced and highly-educated team of professionals that includes partners, associates and lawyers with full rights to legal represent under the Romanian law. Our of councel partner has also the right to represent clients at various Courts of Justice in New York, Las Vegas and Supreme Court of USA. In addition, we have a support team of tax advisers, accountants, translators and paralegals that perform closely with our attorneys-at-law to provide all services requested by clients. The Firm choose the best attorneys to cover all the legal areas in the Romanian jurisdiction, so that our clients are confident they can rely on the competence of each of our lawyers. Our team dedicates its expertise in fulfilling the expectations of our clients, offering high legal services in our practice areas. Our Firm goals are accomplished with team work, constant preparation, perseverance and creativity. Equity and Justice are the foundation of our firm in defending the clients rights and interests. Our firm represents Romanian and multinational companies and corporations operating in the fields of industry, commerce and services. 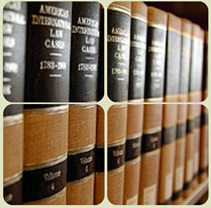 In order to provide to clients professional legal expertises, Glont, Arsenescu & Associates cooperates with various specialized national and international law offices, including some of the biggest law attorneys and liquidators firms in Europe.